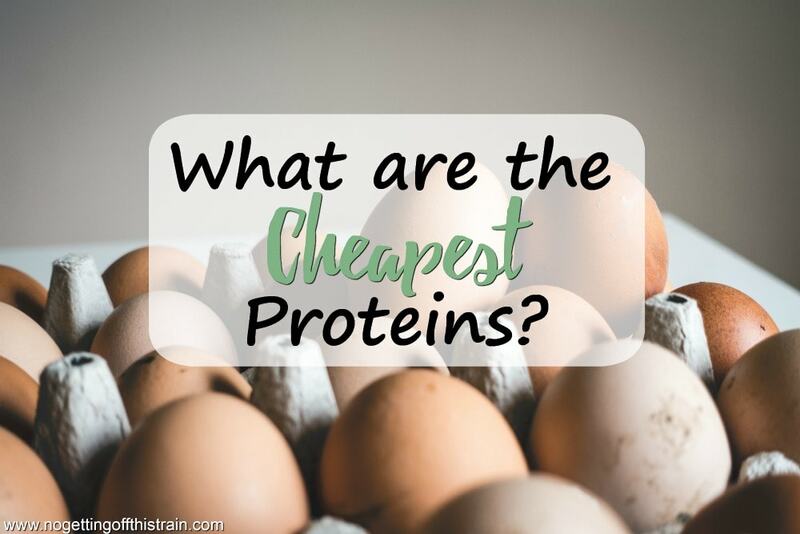 What Are the Cheapest Proteins? You don’t have to be a bodybuilder to enjoy the effects of protein! One of the 3 macronutrients, protein helps to keep you full and build and maintain muscle mass. The daily recommended protein intake is 10-30% of your diet; so if you eat 2,000 calories a day, 50 grams of protein per day would be about 10%, and 100 grams per day (like what I eat) is about 20% of your diet. 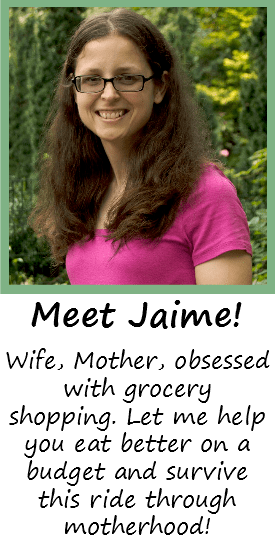 You have a family to feed and want to make sure they get enough nutrients, but you’re also on a budget. What are the cheapest proteins? Because I’m a huge nerd and like collecting data, I’ve rounded up popular types of protein and broke them down into price per gram of protein (Using the USDA website for information). It’s not an all-inclusive list, but it’s what I usually buy and is for a “typical” family. Prices are average for my area (Ohio); yours may vary. Read the list below and decide what you could afford to buy more of! Did any of these surprise you? I was actually surprised at how cheap the peanut butter was compared to everything else. However, a 2-tablespoon serving of peanut butter has 200 calories for 9 grams of protein, while 100 grams of chicken breast (about 3.5 ounces) has about 165 calories for 22 grams of protein. In terms of price, peanut butter wins; but when you’re counting calories, the chicken is the real winner even though it costs more. Still, it was interesting to see how these foods compared! And now I know I need to take advantage of cheap eggs and eat some every day. What are your favorite cheap sources of protein? Share with us in the comments! I thought you had to eat another protein with beans to make it a “complete” protein. Same with anything that is plant base. Do you know if this is true? I’m not a nutritionist or anything, but in my experience, black beans are a pretty complete protein. =) It doesn’t have as much protein as meat, but it’s pretty good on its own. I have heard that before, though!